This makes me assume quite strongly that MGSV will be kind of like Metal Gear Solid 2, where we had a short, just 4 or so hours long “Tanker” and a big “Plant” chapter that made up the rest of the game. 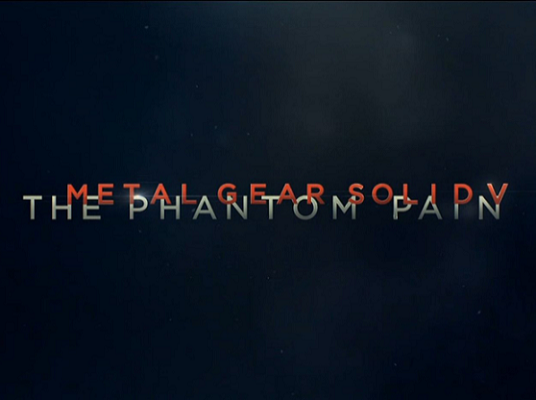 “Ground Zeroes” will be the short prologue in this case, with “The Phantom Pain” being the meat of the story. There is still a possibility that they are two separate games, but I find it quite unlikely. The most important thing to note about it, seeing as the gameplay is just Big Boss crawling on the floor and trying to stand, is what the FOX engine is capable of, the details seen are quite impressive, especially considering the 7-year-old PS3/360 hardware. The other thing to note is Big Boss’ artificial lower left arm… Seems he lost his somehow, possibly in the scenario that led him to falling into a coma. Last, but not least, David Hayter’s bitter tweets about not being asked to voice Big Boss in the new game. A LOT of people have been outraged over this, but I know Kojima does things for a reason. As Big Boss ages, he grows apart in terms of looks from Solid Snake, who is a clone of the young Big Boss the DNA was taken from. We see how different they are in Metal Gear Solid 4: Guns of the Patriots, and it’s normal to assume his voice would grow a bit different as Big Boss ages, too. In MGS4, Richard Doyle voices him, so maybe they got him to do it in Metal Gear Solid V, as well. The lame scenario would be that they just hired someone who could do a similar voice for cheaper. I think a third option exists – Big Boss has somehow lost his voice, and doesn’t speak at all during the game. I wouldn’t like it at all, but it’s one possibility. In conclusion, Metal Gear Solid V has GREAT potential, but was there ever any doubt? Hideo Kojima is the one true genius left in the game industry, the only one who’s still at his best, as far as I’m concerned. I can’t wait for this game, and the fact that I won’t need to buy a new system for it makes me all the happier. Most likely, given that Big Boss is in a coma for 9 years, this will be the link between Peace Walker and the original Metal Gear in terms of chronology. The one thing I’ll highlight again is that I can’t wait to see how the relationship between Big Boss and Ocelot develops. Thank you, Kojima, thank you!